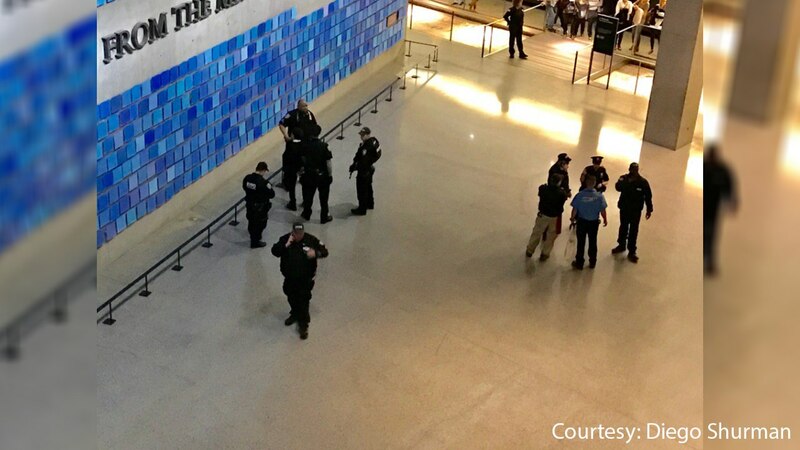 LOWER MANHATTAN (WABC) -- The 9/11 Memorial was temporarily evacuated on Tuesday after a visitor left an unknown substance, later found to be salt, on the plaza. Police say that an unidentified man placed the non-toxic substance on the plaza at approximately 5:30 p.m., after which there was a precautionary evacuation for a short time. According to reports, the individual who left the salt may have been performing some kind of ritual. The 9/11 Museum was not evacuated during the memorial plaza incident. Normal operations at the 9/11 Memorial resumed a short time later.